With couples choosing to spend more and more on the engagement ring, the fashion for longer engagements and very often romantic proposals abroad, it is critical to make sure the correct level of insurance is in place for that very special ring. Buying or receiving an engagement ring, is an important moment in anyone’s life. Finding the correct level of insurance shouldn’t be difficult. 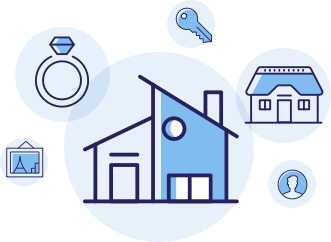 We can offer a range of tailored policies suited to your circumstances, such as inclusion within a high value home contents policy or a stand-alone policy designed around you. Whatever you need from your policy, our experienced account managers can offer valuable advice to help find the best match for you. Enjoy worldwide cover (especially useful if you’re planning a romantic proposal abroad or honeymooning overseas). Reduce costs by restricting cover to the UK or Western Europe. The right to repurchase a recovered engagement ring subsequent to any claim. No excess to pay in the event of a claim. Insurance available up to £1,000,000 subject to discussion. Policy covers loss, theft and accidental damage. Whether you are travelling abroad with your jewellery or worried about leaving expensive items at home, wherever you are, your possessions are sufficiently insured. If you are relying on your engagement ring to be covered by your home contents policy, be aware of a £1,000 restriction on valuables often applicable on standard policies. There will usually be an accumulative cap on all valuables often as low as £5,000, i.e. the total value of valuables claimed for, not single item value. Need to insure more than your engagement ring? We can also offer cover for extensive jewellery collections. 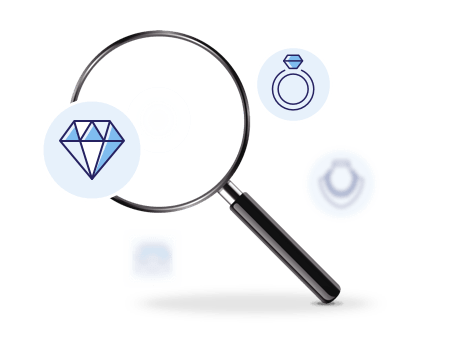 Our most popular high value home policy can cover up to £80,000 of jewellery cover anywhere in the world. We can cover higher sums after a more in depth discussion and referral to our underwriters. Kindly be aware that not all options are available on all policies and that we recommend carefully checking policy summary and policy wording documents for exact details of the cover applicable to you. Highworth Insurance Limited is a registered company in England and Wales number 7980064. It is authorised and regulated by the Financial Conduct Authority number 578639. Address: Highworth Insurance Limited, Suite 12, Branksome Park House, Bourne Valley Road, Poole, Dorset, BH12 1ED.